BONTOC, Mountain Province – The Regional Development Council (RDC) and the Regional Peace and Order Council (RPOC) passed a resolution requesting Health Secretary Francisco Duque III to coordinate with training providers on water safety sanitation to conduct a training and accreditation of local sanitary inspectors in the region to facilitate the registration of water refilling businesses in the different parts of the Cordillera pursuant to the provisions of the law on ease of doing business. The RDC and RPOC, both chaired by Baguio City Mayor Mauricio G. Domogan, saw the importance of cascading to the regional level the conduct of trainings and accreditation of experts on water safety sanitation for the immediate inspection of applications for the issuance of permits for the operation of water refilling stations in the different parts of the region. Earlier, the provincial government led by Gov. Bonifacio Lacwasan, Jr. raised to the RDC and RPOC first quarter joint meeting the issue on the absence of accredited DOH training provider in the region related to water safety sanitation. Health authorities require training on water safety sanitation prior to the operation of water refilling stations and other required documents which contravenes ease of doing business in any part of the country. 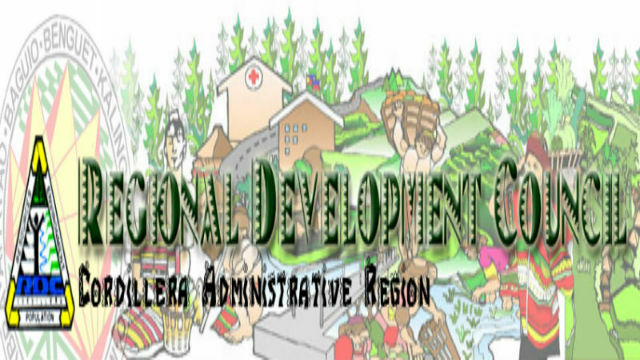 At the same time, the DOH reported that selected personnel from the regional office will be trained by the University of the Philippines Manila and undergo stringent accreditation to be accredited training providers in the Cordillera Administrative Region (CAR). While waiting for accreditation, the regional health department will request the administration of UP Manila to schedule the required trainings on water safety sanitation in the region for establishments requiring such service. Further, health officials will also explore other avenues to have more training providers with the agency’s national program managers on environment and occupational health. The RDC and RPOC stated it is still best for the health department to secure the services of experts on water safety sanitation in Manila and bring them to the region to conduct the needed trainings for sanitary inspectors to accredited them so the latter can issue the clearances necessary for the operation of water refilling stations. Both bodies tasked the DOH-CAR to coordinate with their counterparts in the central office to work out the tapping of the experts who will be conducting the trainings for local sanitary inspectors so that the issuance of clearances to applicants for permits for the operation of water stations will be immediately processed pursuant to the law on the ease of doing business around the country. Local official lamented the delay in the processing of permits for the operation of water stations due to the absence of accredited sanitary inspectors who will certify on the applicability of the system of their operation in producing potable water supply for the consumers.